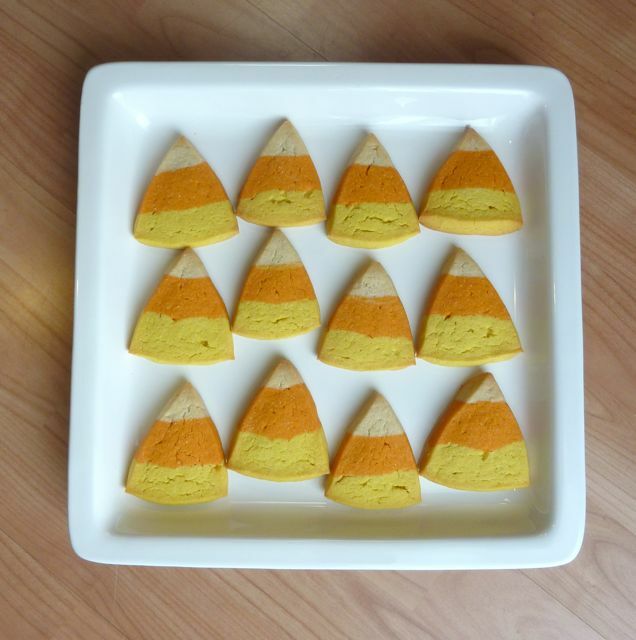 I saw these sweet things last week on a website called recipegirl.com and they practically begged: "Bake Me!" They're super easy. I promise. Recipe Girl used a Better Crocker Sugar Cookie Mix, but you can use whatever sugar cookie recipe you like best. The dough just needs to be refrigerated or frozen before you cut them into the triangle shapes. I might have to make these 5 or 6 more times before Halloween. They're SO DARN CUTE.